To play the music of Johann Sebastian Bach well, a knack for sonic alchemy is required. One must be able to make swirling waves of chordal density—the original sheets of sound—feel both propulsive and calm, a deep grounding that’s simultaneously an invitation to travel the world. 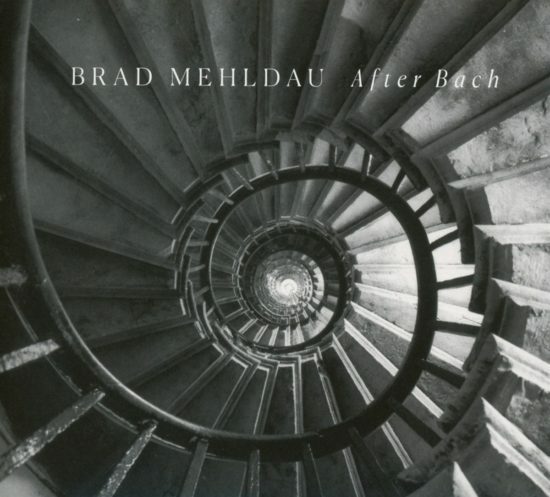 On this disc, Brad Mehldau gives himself further challenges: to transpose works meant for harpsichord to the piano, whose blockier notes contrast with the former’s radiant numinosity, and to respond to those works with pieces of his own. Mehldau’s light touch, which feels like the quiet revival of a sleeping musical power, is evident on Prelude No. 3 in C# Major, from Book I of The Well-Tempered Clavier. Bach was not a pastoralist, but Mehldau imbues something of the empyrean. We can also detect little hints of boogie-woogie-type chording; Bach, after all, loved a good rolling bass figure as the anchor for airier harmonics. Fugue No. 16 in G Minor, from Book II of the WTC, is tantamount to a duet for one instrument, with that two-in-one approach splintering off in various dialogic patterings—like when you’re sitting in Starbucks and the hum of humanity seems to turn into a confluence of melody before reverting to a series of separate conversations. Mehldau is an excellent “talker” as a pianist, and that serves him well. He’s also skilled in “covering” Bach’s compositional hallmarks through his singular gift for writing. “Before Bach: Benediction” is the crystalline morning that opens the record, the sensation that a new world is about to unfold; the closing “Prayer for Healing” melds Bach and Mehldau with the conic sound-shapes of something like Trane’s “Alabama.” Bach was speaking to you, and so is Mehldau, twining melodic lines around each other as if one of them even belonged to you. That twining, of course, was Bach’s central purpose as a composer, and it’s what his jazzy descendant underscores in his pianistic way. 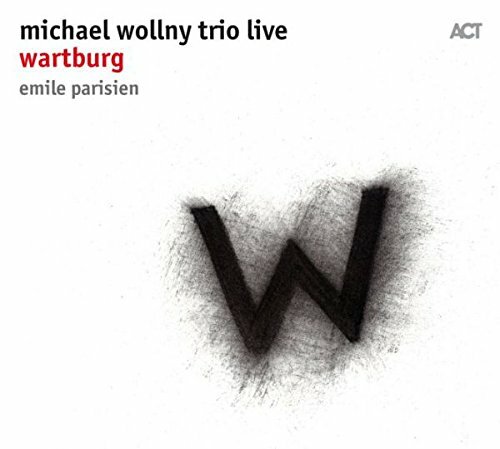 Two nourishing helpings of Michael Wollny’s impressively wide-ranging piano trio here. The original notion was to combine material from the studio session, in Oslo last September, with extracts from a live show in Wartburg castle a week later. Reviewing the recordings, Siggi Loch, whose ACT label’s silver jubilee was marked at Wartburg, threw out that plan. There would be two CDs, co-released, to showcase the current work of the label’s biggest star. Good decision. The two fit together beautifully, the opening tune in Oslo reappearing as the encore in Wartburg. The treatments are delightfully different. In the studio, the trio – Wollny, Christian Weber on bass and Eric Schaefer on drums – were joined on three tracks by the Norwegian Wind Ensemble, who improvise together under guidance from curator Geir Lysne. Their contributions add dramatic range, though the bulk of the album is trio alone. In Wartburg, the trio were joined by Emile Parisien, and his urgent soprano saxophone brings an appealingly astringent note to the conversation in the latter part of the concert. The studio set sounds more considered, although there’s plenty of rollicking invention. The live performance, the trio sweeping through the first seven tunes without any breaks, is a characteristically wild ride, ranging from stately, classically-inflected melodies to bluesy vamps over strict tempo rhythm figures to the headlong accelerandos Wollny favours when it’s time for some (cheap?) thrills. Parisien is superb - no quick guest spot, this; he instantly turns a high achieving trio into a fully-integrated quartet. The studio set features more pieces by other composers (Hindemith, Faure, Debussy), and more big helpings of a piano style that moves freely between Jarrett and Hancock-like passages and brilliant flourishes that are all Wollny’s own. It’s a brace of CDs that fascinates for the differences as the same, intimately involved players strive to make the moment in two different contexts. I could offer a bunch of reasons to favour one over the other – but yours won’t be the same. If the budget permits, you should definitely hear both. Dori e Marcos, concebido e lançado pela gravadora Biscoito Fino em CD e nas plataformas digitais. 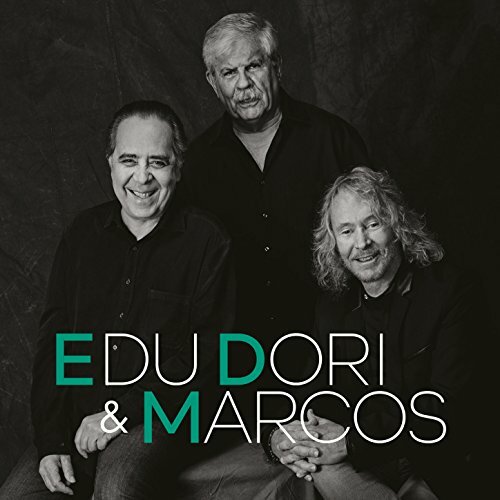 O projeto, acalentado há muito tempo pelos cantores e compositores, foi sacramentado em 2016 durante um show de Marcos com a cantora Stacey Kent que contou com as participações de Edu e Dori. produzisse suas próprias faixas, mostrando sua personalidade nas canções alheias.